Are you looking for a unique dog breed? Check out Uptown’s Double Doodle puppies for sale! 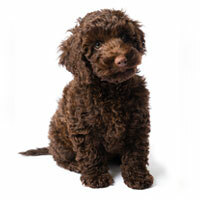 Double Doodles are a hybrid of three breeds: Labrador Retriever, Goldendoodle, and Labradoodle. This is not a typical hybrid, but it comes with a slew of benefits for the owners. Firstly, Double Doodles are extremely intelligent, they are open and accepting to total strangers and loyal to family members. Secondly, Double Doodles’ coat is lush and soft and has a low-shedding ability, which is perfect for owners who have allergies or can’t spend too much time caring for their pet’s coat. Double Doodles were introduced in the 70s when hybrid breeds became extremely popular. The main goal was to create a breed that would be both friendly and easy to take care of. 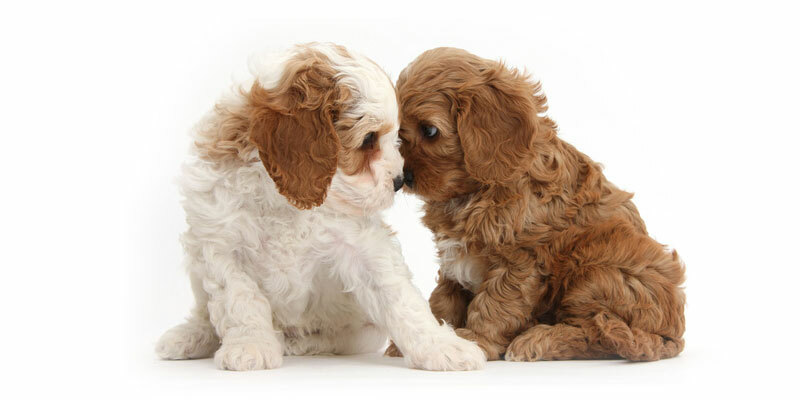 Three breeds were identified as the best parents for the new breed: the Labrador and Golden Retriever, who are extremely friendly, and the Standard Poodle, whose coat has outstanding water shedding qualities. Even though the Double Doodle is a hybrid and isn’t recognized by the purebreeders, his lineage includes some of the best pure breeds. For example, The Golden Retriever is recognized by the American Kennel Club (AKC) breed. Golden Retrievers are family friendly, active and extremely intelligent. 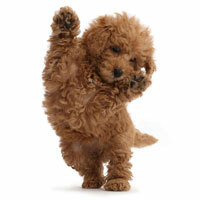 The Labrador Retriever and the Standard Poodle are both on the AKC list of pure breeds. The Labradoodle is currently work in progress at AKC. 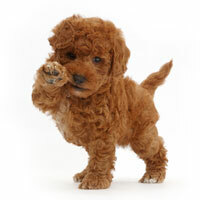 But it really should not stop you from getting one of the cute Labradoodle or Goldendoodle puppies for sale! They will be on the AKC list soon. Double Doodle’s diet is simple, yet you will need to impose some level of control. Both Labrador and Golden Retriever are famous food lovers and can sometimes eat too much. As for the quantity of food, stick to 2 – 2.5 cups of dry food each day, but adjust the portions according to the puppy’s activity level and age. Just like people, dogs should avoid eating too many carbohydrates, since the energy from carbohydrates doesn’t last long. Not only the Double Doodle inherited the fun-loving nature of his parents, but he is also prone to same diseases. Joint disease can be of real danger to Double Doodles, so make sure you give him glucosamine supplements. The connection to Poodles also makes him prone to digestive diseases so ensure he stays away from fatty meals and oily snacks. Double Doodles are so intelligent that hardly any training is needed. They learn quickly and are loyal to their family members. They also do best in packs, so let them know who the leader of the family is. Treat them nicely, give them lots of encouragement and reward them with sweet treats — they will learn to behave as appropriate citizens in no time. Double Doodles range from medium to large-sized dogs and their weight can reach 70 pounds. Double Doodles are great for families. They are loving and caring. They also enjoy social activities. But while the highly social nature of Double Doodles makes them perfect for families with kids, this breed can’t be used as a watchdog. Double Doodles accept strangers with ease, so don’t expect them to protect your children. The mix of genes allows hybrids to stay healthy and active for the most part of their lives, but you still need to be aware of possible health implications. Labradors and Golden Retrievers are particularly prone to hip dysplasia, while Poodles are known to have digestive problems. 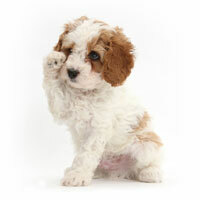 Another health issue that Poodles tend to suffer is cataracts. Double Doodles live on average 12 to 15 years. This is an active breed, that loves to run, play the fetch game and is always up for a social party. Go for long walks in the park, encourage playtime with kids and exercise together as much as possible. Being a hybrid breed, Double Doodles are not recognized by the AKC. 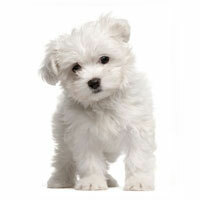 They are, however, recognized by the DRA – The Dog Registry of America. 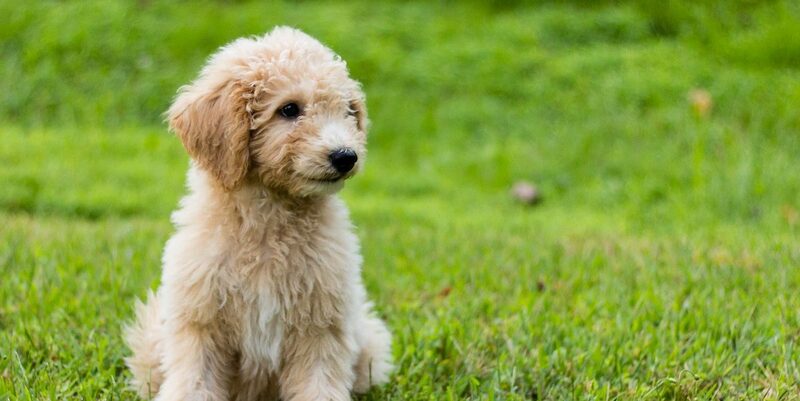 Double Doodles are known for their gorgeous coat of creamy, golden and white color. There are also black Double Doodles, who inherited their coats from their Labrador retriever parent. The coat is easy to care for, even though it does require regular grooming and brushing. It’s best to brush Double Doodles every week with occasional grooming sessions once a month. Double Doodles have long furry ears that are hard to clean. Clean the ears every time you groom your dog and maintain the hair around the ears short and tidy to avoid ear infections. Double Doodle puppies are adorable. They are smart and easy to train. Raised as pack dogs, Double Doodles need to know who the leader of the family is from the very young age. Watch their diet, provide enough room for exercise and physical activity and never leave them alone—their bone structure is fragile so they can easily get injured. Double Doodles have been around for a while, but like all Doodle dogs, their popularity is growing by the day. Get yours today before all of your local breeders are totally booked solid! 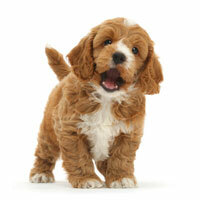 If you are looking specifically for Labradoodle puppies for sale or Goldendoodle puppies for sale, look no further! Uptownpuppies is the best breeder in town.